Manufacturers of a very wide range of Quality Test Instruments, with whom we have had a relationship with for a very lengthy period, and in excess of 25 Years. Excellent Test Instruments. 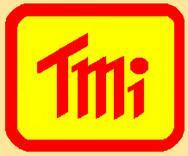 Fast Expanding range of quality and economical items.—An inspiration from a long term supplier. Power Supplies, RF Power Meters, PAL Colour Pattern Generators and other Test Instruments. 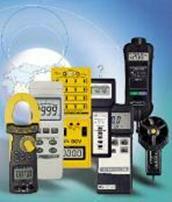 Digital Multimeters, Storage Oscilloscopes, Thermal Imagers, Clamp meters, and other Test equipment. Specialised range of Thickness Testers for Paint, Metal, Coating and Tar road surfaces, as well as Porosity. We are proud to be in a position to offer such a variety of instruments from a number of manufacturers with our own brand range of T+M gaining popularity rapidly. Specialised range of Satellite Test Instruments including Portable Field Strength Meters, as well as Educational Training equipment in this specialized field. Intercomp are world leaders in the field of Motor Racing technology, and manufacture a wide range of Corner Weight Scales & Spring Testing apparatus & more. Most reputable International Racing Teams use this equipment as well as companies like Boeing & McLaren F1. Almost all NASCAR teams use these scales for set up. Superior Electric’s Powerstat variable transformers for voltage control, line conditioning equipment, Stabiline voltage control such as Uniterruptible Power Supplies, Surge Suppressors, Power Conditioners as well as 5 Way® Binding Posts. FLIR are world leaders in the field of Infrared Thermal Imaging cameras for Preventative Maintenance, Building, Process Control & Automation, Scientific and Gas Detection areas. MSR manufactures the world’s smallest Data Loggers either with built-in or external transducers for Temperature, Humidity, Light, Vibration, Shock, and Air Pressure, with possibilities of wireless BlueTooth connectivity to Cloud storage, for individual personal access to logged information for use with Excel. TECPEL supply a wonderful range of Instruments such as Digital Thermometers, LCR meters, Hygrometers and Test Leads. Rishabh are manufacturers of a wide range of quality Test Instruments including panel meters and controllers, Insulation Testers, Multimeters, Clamp Meters and many more. T + M VERYTEK supply a wonderful range of Instruments such as Digital Panel Meters, for Power Quality Analysis, Testing and Controlling, Multi Function Meters with LED and LCD displays, Current Transformers etc.